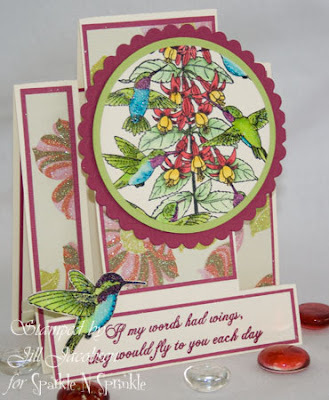 Shared Inspiration by Jill Jacobsen: Reveal Day! 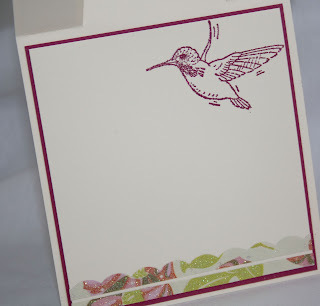 Hi Stampers, Today is reveal day for Sparkle N Sprinkles new Hummingbird stamp sets that I've been giving you peeks at! Aren't they just gorgeous!! And with the new Tuscany Embossing Powders they are just stunning. Here is another card that I made the other day. I only used a portion of the Hummingbird Party stamp. The hummingbirds are just so much fun to color with the Copics! It's so easy to get such vibrant and bright colors with them, and with hummingbirds coming in almost all colors you can't go wrong. 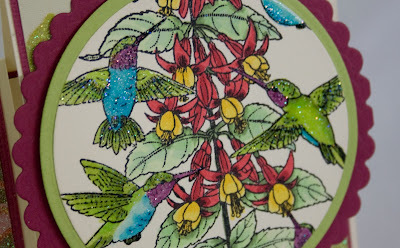 Then to make the hummingbirds stand out more I colored with the Penboss and embossed them with Sparkle Embossing Powder. 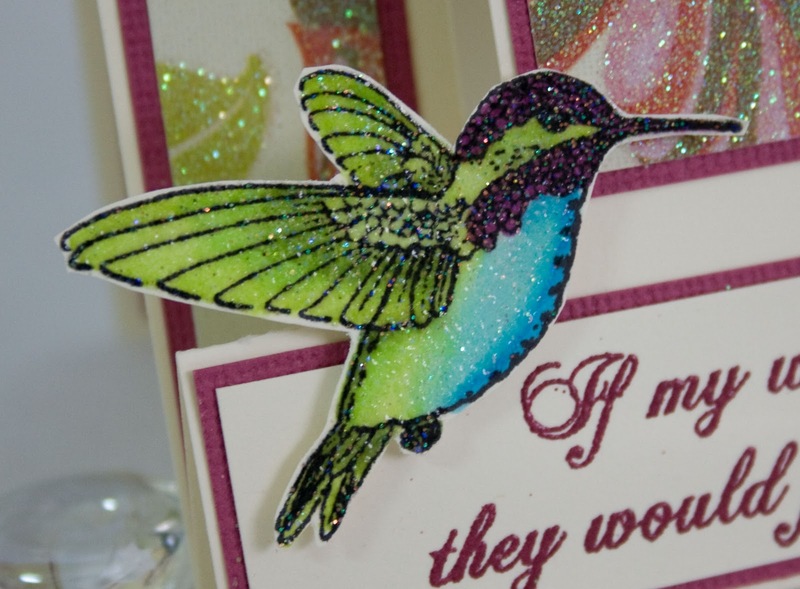 For the single hummingbird I cut him out and put him on dimensional tape. The sentiment is embossed with Sangria. The hummer on the inside in embossed with the Sangria Star that has the sparkle to it. 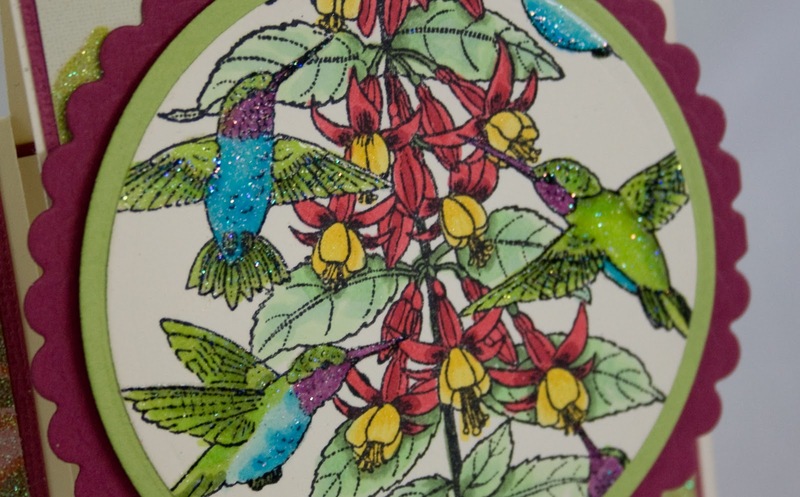 Jill, the colors and detail of your card are brilliant! Breathtaking colors, magnificent card design, and the shading is gorgeous! What a great card. Love the fold of course! Then the colors - great choice and muted with Sparkle EP! What's not to love. Jill, just stunning! Beautiful colors and design. Jill this is just gorgeous! Love all the sparkle and your coloring is wonderful!